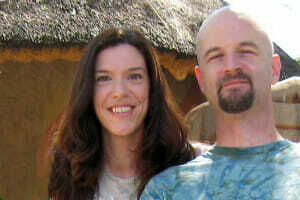 Rob and Eshinee Veith have served with Lutheran Bible Translators since 2004. Eshinee came to an awareness of the profound need for Bible translation while a missionary with YWAM in the 1990s. In 2008, while in Botswana cataloging the archives of a former missionary, she found a complete handwritten New Testament in the Shiyeyi language. Her heart was touched by the desire of the translator to bring God’s Word to his people. In early 2011, she assumed the role of Linguist Exegete working towards a publishable Shiyeyi New Testament. In 2017 she became the training coordinator for all of Lutheran Bible Translators global work, identifying and implementing training needs for missionaries, international partners, and office staff. Rob has assisted in the development of print and non-print materials for the purpose of encouraging more indigenous forms of worship, evangelism, and discipleship. Since 2006, Scripture and worship materials have been developed in 12 languages in three African countries. He continues in this role.